Composed by Isaac Albeniz (1860-1909). Arranged by Francisco Tarrega. Music Sales America. Classical. Book Only. 8 pages. Union Musical Ediciones #MUSUMG21655. Published by Union Musical Ediciones (HL.14001464). ISBN 9780711956520. 9x12 inches. English(UK). 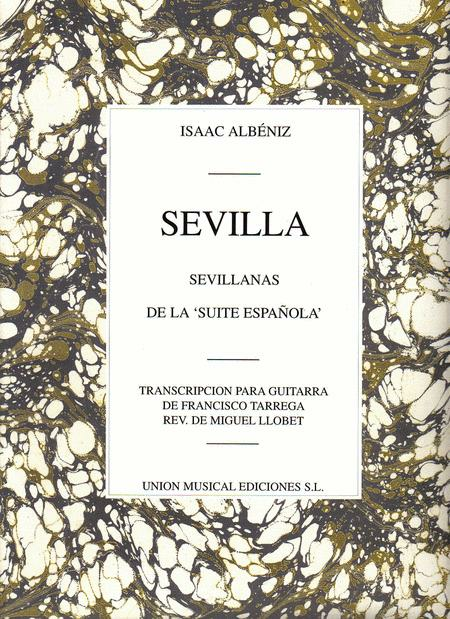 Sevilla' Sevillanas, from Suite Espanola by Albeniz, transcribed for the guitar by F. Tarrega, revised by Miguel Llobet.